What do college kids do on a day off? Well, you might be surprised by the group I met up with on Will Rogers Beach on Veteran's Day who were using the hours before sunset to clean up the beach. Mackenzie Trask, blonde hair blowing in the breeze, is studying ocean conservation and marine policy at Pierce College. She told me she is inspired by Dr. Peter Mous of The Nature Conservancy who says "Protected area management can only be effective if it is based on accurate knowledge on how people are affecting the resources within the protected area." 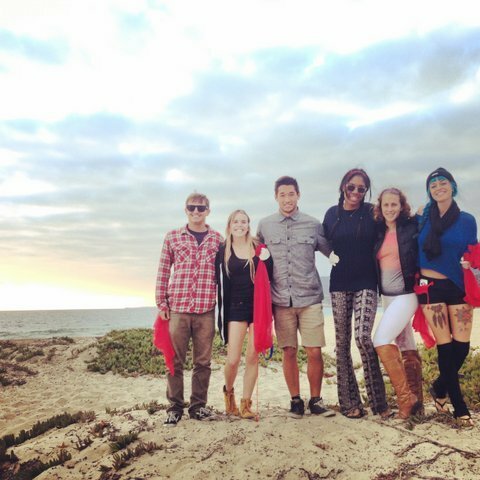 "I organized my friends for a beach clean up and hope that's just the start of many more. I have always had a wonderful relationship with the Ocean ever since I was a kid. It's where I learned to swim!! My goal is to learn as much as possible, experience things first hand, so that I can contribute to conserving our incredible planet, and so that I can share that with the world, and raise awareness of issues that everyone should be aware of in the natural world." 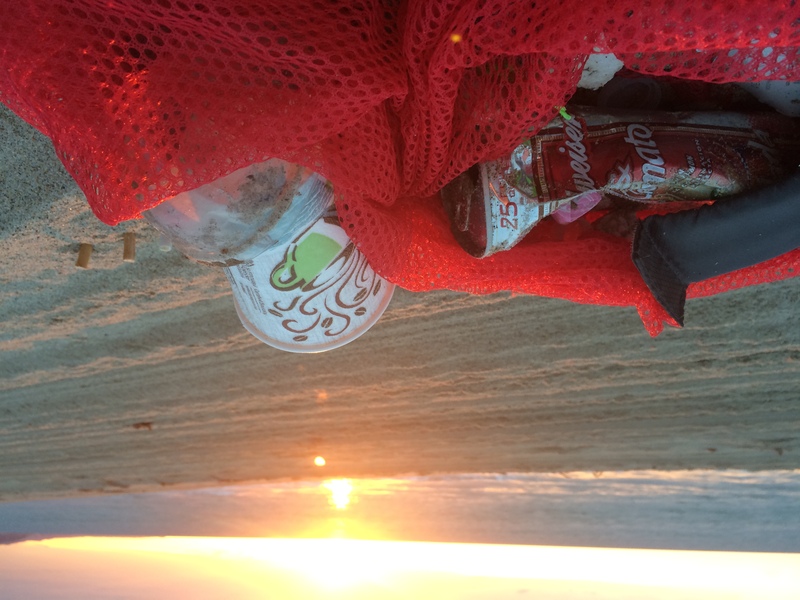 "During this beach clean up, we came across so many cigarette butts, plastic, and other waste that people just left behind. The feelings at this clean up were directed more in a positive way because we know we are making a difference. If we get more young people involved, who have a place in their heart for the Ocean, we can slowly start to rebuild from the destruction we created." Although the national trend in volunteering took a dive in recent surveys, some think this finding is inaccurate because although government and nonprofit organizations may be shrinking along with opportunities to volunteer there, DIY volunteerism is not captured in the stats. SAVANNAH MURCHLAND, whose hair is as blue as the ocean, is "currently working at cruelty-free Lush." Savannah says, "I have always had an avid love for animals and use the ocean as my way of relaxation." MAIA MORGAN, the tallest and wearing rad printed pants, currently works at Trader Joe's and is attending Pierce College. She joined the clean up because she "loves the ocean and uses the salt and sand as a natural exfoliant." RYAN KROUSE, in the grey button-down, is currently training for Big Wave surfing as well as working in the ocean teaching surf lessons. "I care for the ocean because I spend most of my day here, but also because it is a source of food. Spear Fishing is one of my loves." NIKI SEUCAN, in boots, attends Los Angeles Film School and is in the process of obtaining her bachelors degree in Computer Animation. 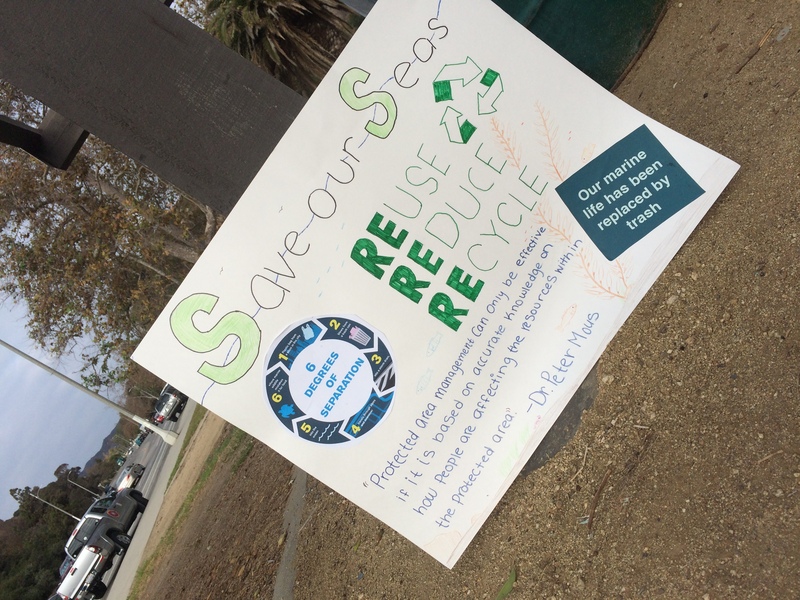 She is aware of the growing problems facing the ocean and knows the waste problems need to be fixed. IAN DONNELLY, in red plaid, graduated from University of Oregon. He is an avid surfer and follows the swell wherever it goes. He works in commercial production and currently resides in Santa Monica.